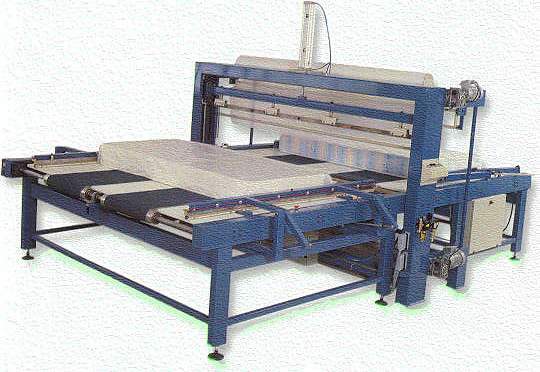 This Computerized Quilting machine was designed to exceed the design and limits of mechanical padding machines. It was made with contributions from computer technology and design and capacity requirements of users. It is possible to attain visual varieties of bed, sitting groups and home textiles. Meeting special design requirements of the users in addition to existing standard designs. New patterns and designs can be loaded by phone line or via the Internet.